At the beginning of 2018, Microsoft unveiled an aggressive roadmap for Teams, which only a few months earlier celebrated its one year birthday. The roadmap was so aggressive that I didn’t believe it would happen — it did. Make no mistake, Teams has an internal priority that few applications receive. I cannot recall Microsoft ever developing an application this quickly. It’s the combination of an emerging space, competitive pressure, corporate strategy, and agile development. 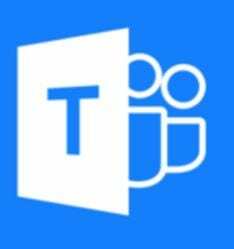 Part of my mistake in underestimating Microsoft was because I considered Teams to be just just another application within an increasingly crowded Office 365. It’s not. Teams is an unusual combination of platform, operating system, Team Chat app, conferencing service, and UCaaS solution. More importantly, it’s the golden thread that runs through Office 365, similar to SharePoint and OneDrive with a stronger customer facing impact to workflow. The more I understand Teams, the more I appreciate Microsoft’s abrupt change in priority from SfB to Teams. I had intended to write a Teams report right after Microsoft Ignite, and there was plenty to cover coming out of that event last September. Unfortunately, Ignite was the first bookend of what became an intense fall 2018 conference season which extended into December. Ignite had lots of news, but Microsoft kept going. Announcements continued during October-December. My Ignite report was obsolete before I wrote it. So this report isn’t event-bound, and honestly Teams defies being bound. I better appreciate the challenge of an artist working with a subject that won’t hold still. I found it difficult to write what’s true and false about Teams because the truth kept changing — between drafts. My colleague and NoJitter contributor @KKieller echoed a similar conclusion: “As I continue my Taming Teams series, I am noticing limits and capabilities change sometimes weekly!” Agile development isn’t new, but still not the norm in the world of enterprise communications. A proper report on Teams would be 50 pages due to the product’s breadth. Problem is that by the time the 50th page was completed, most of the document would be out of date. My solution was to focus on the communications and collaboration pieces. This report doesn’t get into the development environment within Teams, and barely touches core messaging or it’s mobile-first approach. It provides a high-level view of Teams as an enterprise communications solution, and that includes its “firstline” vision. A preview of the report can be downloaded for free. Or, you can purchase the full report here, but why bother? It’s better to subscribe to a year’s worth of annual content: research reports and the TalkingPointz Quipz monthly newsletters (samples available).